How to import Conso file in ClearTDS. If you have done any mistakes or wanted to change the details of deductions or notice received for short deduction, Challan overbooked; then you will have to file Correction statement i.e.revised return. To file revised return Conso file should be required and which can be downloaded from TRACES. Don’t worry you can directly make a request for Conso file and download from ClearTDS, no need to login TRACES. 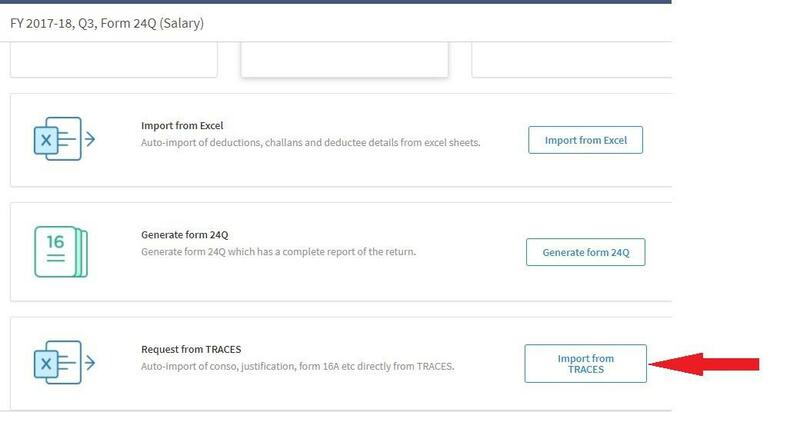 Once you login to Cleartds.com, go to TDS return Dashboard under Deductor and click on “Work on this Return”. You can see “Import from TRACES” at the bottom of the page click on it to make the Conso request. Select “Request for Consolidated file” and enter the TRACES username and password. 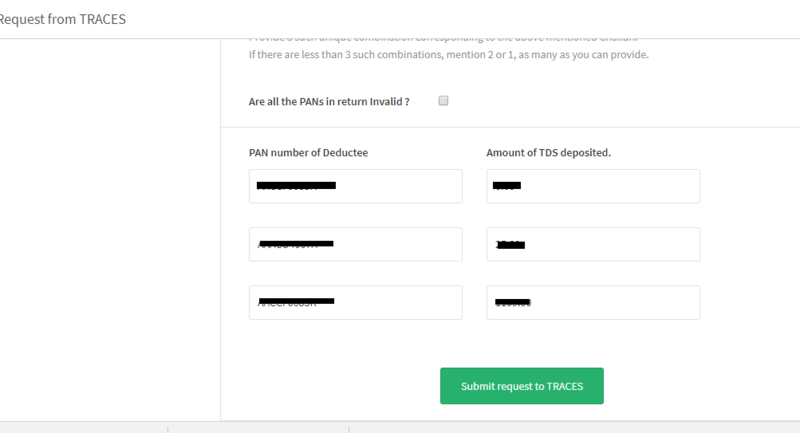 TAN, Token number (Ack.number), challan details; PAN and Amount of TDS deposited for 3 deductees are pre-filled if you have filed Original return through ClearTDS otherwise you will have to fill manually. 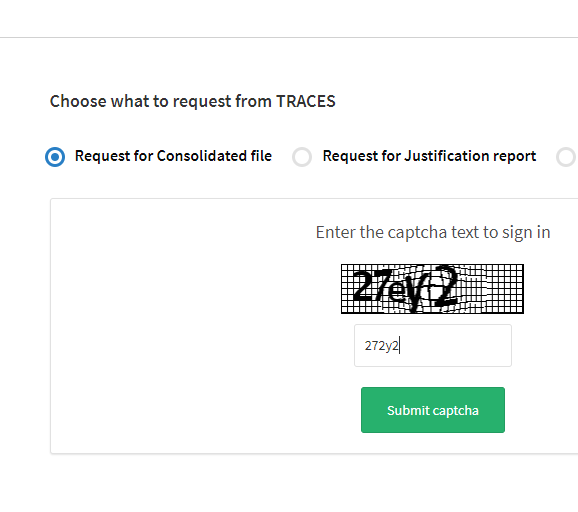 Click on “Submit the request to TRACES”, once you click on submit request process will start and ask for CAPTCHA. Please enter the code and submit, the request has been sent and it will be processed after 4 hours. Step 2: Download the zip file and unzip it. Once the request is Processed then the status is “Available” and “Download” option will be present. You can download the Conso file, it is in Zip file. This Zip file password protected and The password to open the .zip file is “TAN of the Deductor_Latest request number of the respective form and quarter available”. Ex: Your TAN is ABCD12345A and the Request no. of latest Conso file is 212123, then the password to extract the zip file is ABCD12345A_212123. 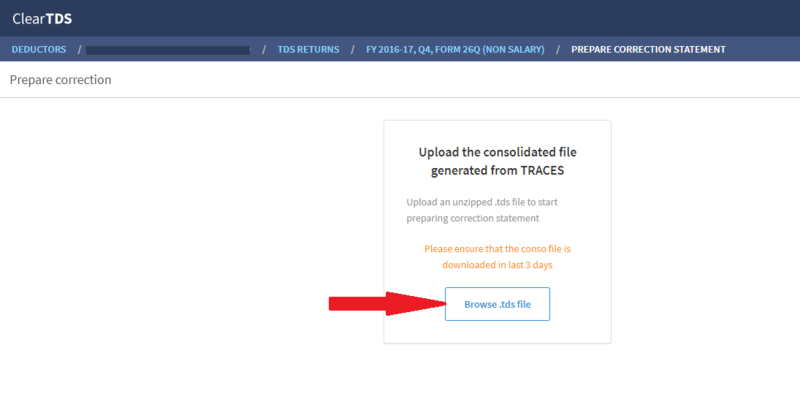 After downloading the conso file, come to “TDS return” page and click on “Prepare correction statement”. And browse the conso file. That’s it! You’re done. You can now make whatever modifications you need to make. You do not need to worry about the mode of correction (C1, C2, etc) — ClearTDS automatically figures out the correction modes and prepares your FVU file for you. 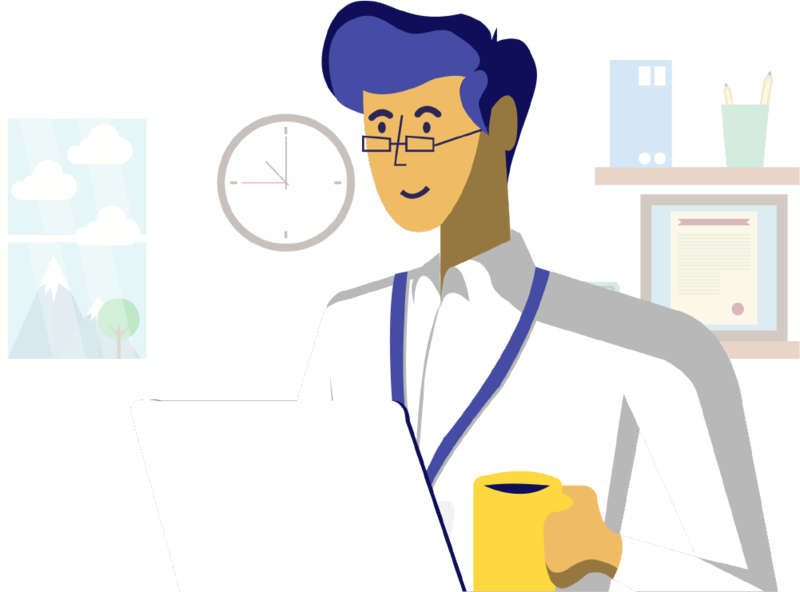 ClearTDS is so simple that you don’t even need to read these guides!